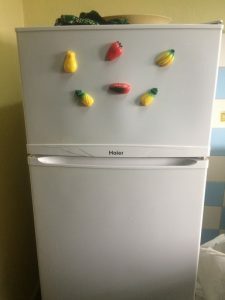 How to buy a fridge in Cuba? Just a simple fridge. But I’m in Cuba, and nothing is simple here. 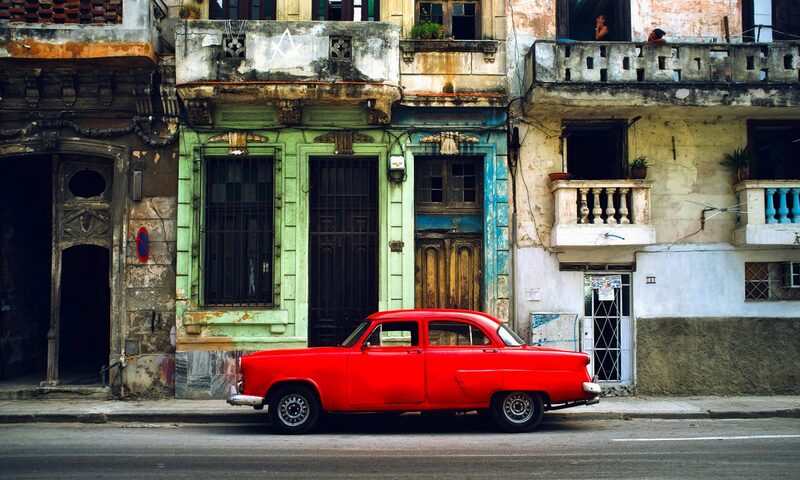 How do you buy a fridge in Cuba? Fist you go to the store. Seems the obvious thing to do no? Then you get a heart attack when you see the prices. Here is a picture of the ‘soon to be mine’ fridge in the store. 793,95 CUC!!! That’s 800 US dollars! (and it is one of the cheaper ones). In a country where the average salary is 20 CUC a month that means a Cuban has to work 40 months to buy a fridge. Still, everybody has one. I’m not willing to spend 800 on a fridge and explain my need to a good friend. She takes me to the store and asks me which one I want. I point at my soon to be mine fridge. ‘400?’ She asks. That seems a good price, so I nod. 3 Weeks later she arrives with a bici-taxi with my fridge on it, and I pay 400 to my friend. My friend has a few foreign lovers. Yep, she is active! One of them, in this case, a Canadian, came over for a two weeks holiday. She moved her fridge to the neighbour’s house and took him home. Big problem! She had to sell her fridge to feed the children, but now the milk got stale! The Canadian is a good man and the next day he takes her shopping. ‘Which one do you want dear?’ She’s in tears… Her boyfriend is going to buy her a fridge! What a hero! She’s going to make sure that he will never forget these two weeks with her. He did not read our book, sometimes ignorance is bliss! After two weeks the Canadian goes home with the warm feeling he saved a poor Cuban family from food poisoning. She moves her fridge back into her house and delivers mine. Everybody is happy. Her Canadian lover decided that this will not happen again and sends her some money every month. He has a great Cuban woman that is so grateful for his help, and he just saved the world. He’s a real hero. 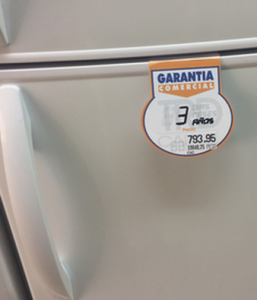 My friend is happy because she just made 400 extra bucks, got an allowance and I’m happy because I’ve got a fridge at half price with a 3-year guarantee. If I need an iPhone, Invicta watch, Tablet, TV or anything else, she has another Canadian, a German, a Swede and as of last week even an Italian and is happy to provide. She can’t wait until the Yanks arrive to bring the good stuff. This is one of the many ways to buy a fridge in Cuba. I’ve been told that there are 23. Nobody buys a refrigerator in the store! The whole of Cuba is full of Jineteros and this is how to handle that fact.